This entry was posted in uncategorized on May 27, 2015 by benadyd. 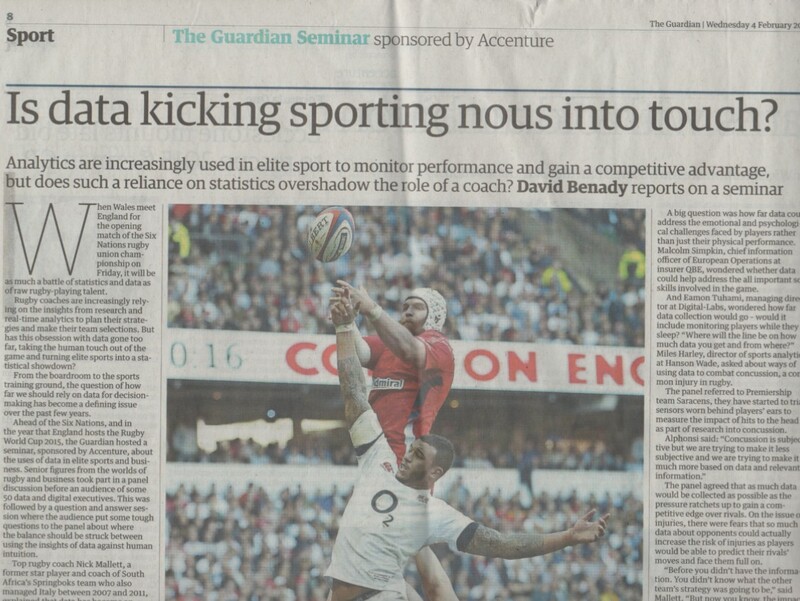 Is data kicking sporting nous into touch? This entry was posted in Guardian on May 11, 2015 by benadyd. Wouldn’t it be better to say that your business has purpose? Grappling with the burning environmental issues of climate change, resource scarcity, poverty and population growth, it’s easy to feel powerless. However, one approach gaining popularity in the world of sustainability is systems thinking. This looks at systems in their entirety and seeks holistic remedies, rather than concentrating on discrete problems. It is an approach that businesses are beginning to embrace as they look to transform their organisations and embed environmental and ethical practices into their everyday activities. It requires businesses to change their corporate purpose. But where do they start? 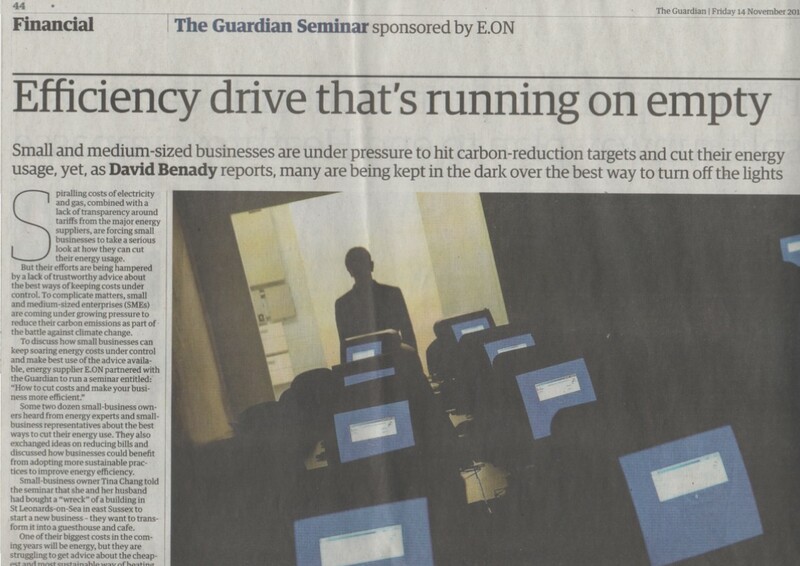 To discuss how systems thinking can help business leaders transform their organisations, the Guardian, in association with PwC, brought together about 50 company bosses, leaders in sustainability and academics to discuss the issue. They split into four working groups to share best practice and debate how systems thinking offers a practical way of introducing environmental and social thinking into business activities. Each group then reported back to the conference; this was followed by a panel discussion. Clark gave an example of how systems thinking had changed approaches to forestry. Thirty years ago this was simply about planting trees, measuring them and cutting them down. “Now if we define a forestry project it’s about governance, it’s about markets, it’s about partnerships, it’s about working with the EU on trade law around timber. 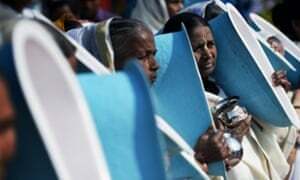 That’s an example of where the development world is shifting from the technocratic view towards a much more holistic way of thinking,” she said. A significant challenge for businesses is deciding how to start a transformation programme. PwC’s global corporate responsibility leader Lisa Greenlee told a working group discussion that a few years ago the company began training about one quarter of its staff in sustainability issues to create a “tipping point”. “If you get enough influential people in your organisation starting to think in a new way then they can start to be the change agents,” Greenlee said. 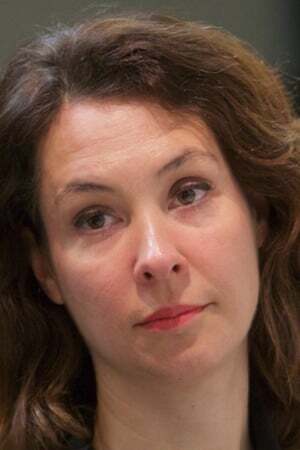 Estelle Brachlianoff, senior executive vice president for the UK and Ireland at environmental services company Veolia, said the business had identified 40 employees as change agents, not for their expertise in sustainability, but because they were influencers who would carry other employees with them. Brachlianoff explained that Veolia has transformed its corporate purpose away from being simply a waste-disposal company to become a mining and chemicals business working in the circular economy. It has created a project producing energy for 5,000 homes in Southwark, south London, using black bin bag refuse. Sign up today and receive exclusive member newsletters, networking opportunities, member-only discounts and more. Veolia has also found ways of extracting minerals from street sweepings, such as palladium emitted by car exhausts, and has manufactured plastics made from human waste. “We are not solving the whole circularity of the entire world, but I have a list of examples of real business cases that are happening now in the UK. We want to show our customers that it is possible,” she said. Collaboration and participation were strong themes in the discussion, as business transformation requires partnerships between organisations that would often never work together. Chris Cook, global sustainability director at paint manufacturer AkzoNobel, said the company was looking at recycling the paint left over after decorating that tends to sit in cans in sheds and garages. AkzoNobel went into partnership with a small business that had the same goals, because it would have struggled to achieve its aims had the project been carried out internally. “We are working with small companies – something we normally never do –because we’re beginning to realise that there are too many barriers due to our own systems,” Cook said. McCormick said that it would be helpful if the Guardian “stopped pointing fingers” at people and corporations, and instead outlined the system issues that had gone wrong and how they should be addressed. The discussion heard about attempts to transform the way business leaders and their customers view the purpose of organisations. Jan Levy, managing director of consultancy Three Hands, described how he had liaised with business leaders from British Gas to help them work with an affordable warmth group in Birmingham. “We exposed business leaders to the social issues surrounding people’s need for warmth, health, affordability and safety and the relevance that had to their business. It gave them an understanding of what life is like if you are living in fuel poverty.” Levy said that the aim was “to make it more real for them”. Floor tile company Interface, which has strong ethical and environmental policies, was considered by the panel to be a good example of a company that had made an effective transformation to sustainability. John Hutton, head of sustainability at construction giant Bam Nuttall, added that it is important to remember in any review of corporate purpose that sustainability is about humanity. “It is about bringing more humanity to work if we want our businesses to be more sustainable. It’s about embracing that emotion,” he said. Prof Stephen Martin, honorary professor at the University of Worcester, told the panel that there is so much complexity in organisational systems that they can appear to be beyond change. Finding ways to cut through this complexity is the great challenge of systems thinking. “This is a huge dysfunctional mess that systems thinking can help clean up,” he said. Richard Spencer, head of sustainability at accountancy body ICAEW, said that the accountancy profession needed to look at the core purpose of business and how this is accounted for. Ultimately, businesses need to move away from a profit-first approach. “Wouldn’t it be better to say that as a business you have a purpose – for example, a pharma company’s is to make people well – and that to fulfill that purpose we have a socially constructed model that is a profit model?” Spencer said. This would put social purpose before profit and ensure that businesses take into account their wider responsibilities to the world. Such a system-wide approach could be just what’s needed to change the practices of companies so they can help solve humanity’s problems. 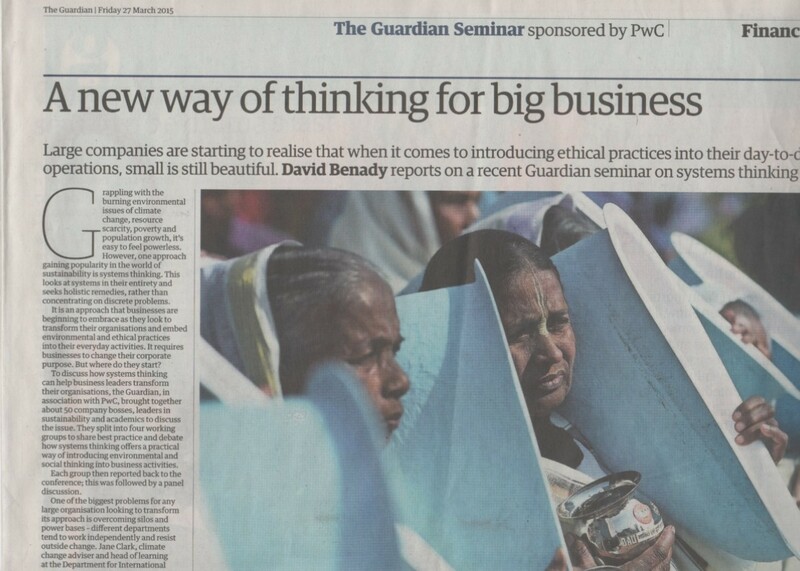 The systems thinking series is funded by PwC. All content is editorially independent except for pieces labelled advertisement feature. Find out more here. This entry was posted in uncategorized on May 7, 2015 by benadyd. Sponsored feature: With our attention turning away from the traditional advertising domains of TV and print and towards our electronic devices, how can the marketing industry keep up? A transformation of marketing is underway as we spend more time on our mobiles, tablets and laptops. The challenge for brands is to connect with customers through all these devices in real time and create campaigns that work across social media, display advertising and e-commerce. The real-time conversations brands have with people as they interact with websites and mobile apps has changed the nature of marketing. The modern-day marketing department needs to combine the creative side of the discipline – using powerful narratives to tap into people’s wishes and aspirations – with the technical side of data, digital engineering and analytics. The two areas do not always sit easily together. Getting creative marketers to work alongside technical staff can be a huge challenge. The panel examined the challenges of bringing together these two distinct worlds. Marketing is concerned with understanding people’s motivations and using these insights to create campaigns that promote brands and encourage people to buy their products. It is a creative and often intuitive process. The technology used to achieve this, however, requires skills in mathematics, statistics and computing. How can these two different areas work together effectively? Three areas of marketing which have been transformed by digital are the speed, relevance and reach of campaigns. Mark Singleton, head of sportsbook marketing at betting brand Paddy Power, recalled an incident in the Premiership last March when Newcastle United manager Alan Pardew headbutted Hull City midfielder David Meyler in a touchline clash. Within half an hour, Paddy Power had reacted to the incident with wit and speed by booking print ads referring to the incident for the next morning’s press. The bookie offered a money-back guarantee on bets for Newcastle’s following fixture should one of its team score a header. “To be able to turn around a press ad at half past four in the afternoon and for it to be in the papers the next morning is fantastic, it wouldn’t have happened four or five years ago,” said Singleton. “The rise of digital means you can be incredibly fast,” he added. Digital marketing has also greatly increased relevancy. Messages can be targeted with a laser focus to very specific groups offering them relevant content. Meanwhile, the reach of campaigns has also increased greatly. With so many different ways that customers access media, whether through Facebook, YouTube, news websites, via mobile or tablet apps, a strong idea can quickly gain huge scale. “If you come up with that nugget of an idea, you’ve now got such reach that you can expand that and get tremendous coverage just from a little niche idea,” said Singleton. Marketers need to update their skills in order to make the most of these fast-moving, and highly relevant campaigns through digital. They need to work closely with data specialists, web developers and social media professionals. Charles Wells, chief marketing officer at charity fundraising service JustGiving, told the panel that the marketer of the future needs to combine marketing and creative skills with an understanding of real-time technology. He said his marketing team has data scientists, engineers, developers and user experience experts, who work together in small project teams to try and create growth. This is a radical change from the way traditional marketing departments work, he said. Just as marketers need to become more savvy about technology, data and analytics, so the technically minded staff on the digital side have to get more creative. They are rising to this challenge, said Wells. A fifth of staff at JustGiving are data strategists whose sole job is to identify patterns from the data the service gathers from millions of charity fundraisers. “They are probably some of the most creative people in the building, they are looking for fascinating things and they are building amazing engines,” said Wells. “Some of the algorithm stuff I’ve seen over the past few months has been some of the sexiest marketing I’ve seen for a long time,” he added. A vital quality for marketers in the fast-changing digital environment is curiosity, rather than any specific technical knowledge, said Adobe digital marketing director John Watton. “It’s not about a particular tool or system, it is about being curious about other possibilities because the tools we will use in two or three years time will be totally different from the ones we were using two years ago,” he told the discussion. A question about the effectiveness of digital marketing was raised by audience member Steve Mullins, content director of brand-e. He felt that targeted advertising hasn’t really improved over the years and that brands are spending a lot of money on technology without necessarily reaping rewards. “Should the merger of buying and tech mean buyer beware?” he asked. Lisa Bridgett, sales and marketing director at upmarket online fashion retailer Net-a-Porter, answered that marketers ultimately need to rely on their natural intuition rather than on technology. She referred to programmatic ad buying, where computers buy and place online ads in an automated way, and said that there are few people who really understand how such technology works. For brands to work effectively together in the digital world, chief marketing officers and chief information officers must work in unison. But this is hard to achieve for many organisations and the two sides can end up in conflict. Pure digital players such as Net-a-Porter that have always been digital are structured for the digital age. Meanwhile, Hema Chauhan, marketing executive at agency TMW, asked whether brand teams, technologists or agencies were best placed to implement new technology systems. The panel agreed that it is usually agencies who are responsible for this. But JustGiving’s Charles Well said agencies had to stop trying to pitch technology and start offering creative ideas that can improve the organisation. “My challenge to agencies is do what you are really good at, which is to come up with amazing ideas,” he said. The question of how businesses should identify the marketers and technologists of the future was raised by Omaid Hiwaizi, chief strategy officer at agency Geometry Global. “Do you filter them out, grow them or hire millennials and put up with them?” he asked. Another audience member, Gregory Gillette, insight analyst at agency 1000 Heads, asked what kind of skills were needed from those looking to get into marketing. Net-a-Porter’s Lisa Bridgett said she was impressed by the millennial generation as they see no boundaries to what they can do. Marketers can come from many backgrounds: “I think the dexterity around the disciplines is fantastic,” she said. Those looking for a career in marketing must be prepared to bring together the magic of marketing and the science of technology to create powerful and relevant marketing campaigns. How has the explosion of digital technology changed marketing? This was the theme of the discussion panel organised by the Guardian in association with Adobe. Today’s connected consumers are using smartphones, iPads, laptops – and even glasses and watches – to access content. As a result, marketing departments need to provide compelling campaigns across these different devices and become proficient in using technology. Marketers need to work closely with IT departments and technologists. They need to understand the processes behind developing websites, handling data and running social media campaigns. The panel discussed how marketers could develop the skills to enable them to work hand in hand with technologists while retaining their creativity, flair and intuition. This entry was posted in uncategorized on January 7, 2015 by benadyd.